Whether you’re a start-up company or have been in the business for quite some time now, who doesn’t want to position your business in the market? For many SMBs or any large corporation, you always consider how to stay on top of your competitors when developing your product. It may be easy or difficult to achieve depending on what type of business you’re into, the kind and size of your customer, etc. Focus on one product and specialize. For startups, it is best to start small and build one product at a time. Because your focus is developing only one product you can create one that is more targeted to your market. Not to mention create a marketing tactic that can convert prospects into buying customers. TIP: When developing a product, avoid trends or seasonal products that won’t have a lasting effect on consumers. When it comes to providing service, this strategy usually works. It is always best to provide a variety of service for your customers. This strategy works because the fact that the customer can go to you for all their needs can be very appealing to them. 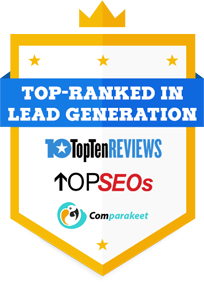 A sales and marketing company who offers a full lead generation services from lead nurturing, lead management, multi-channel marketing and marketing automation software are more likely to be considered by customers than a company who only offers appointment setting alone. Businesses often reinvent and improve their products. However, nowadays improving your products isn’t enough. More and more consumers are looking for a user-friendly product. You might think that all the good ideas have already been taken, but that’s definitely not the case. For example, Uber takes over the taxi industry because of its convenience. You don’t need to compete with other commuters on the street and just wait for your car to pick you up. Plus, it’s even safer knowing that your trip was registered in their database. The behavior of your customers changes especially when the economy is slow. Find out who invest more time and money on your product. How? Rank your customers based on the number of purchase made or the amount spent per customer. Your loyal customers are what your competitors are targeting for. If you continue to provide good customer service, they will stick around and won’t look for someone better. How to provide better customer service? Have a 24/7 customer support to respond to their needs and expectations. If necessary, offer discounts or loyalty packages. Related: How to Use Multi-channel Marketing as an Advantage against Australian Competitors? You know your product and what it can do to help your customers. Now, it’s time to plan how to market your product. In marketing, what’s important is to deliver the right message to the right people. The success of a business relies on identifying the problem and offering your product or service as the solution. Who doesn’t want their business to grow? However, many business owners are afraid to take the risk. Then, let me tell you this, your business won’t last. Don’t give up on good opportunities that come your way. As time goes by, competition is getting tougher. Expanding your target market will give you chances of doing better than your competitors. Find out who your competitors are. Know their strengths and weaknesses. The more information you know about them the more you know how to compete with them. What information to look for? As a business owner, we always want to stay ahead of your competitors. However, having the passion to provide solutions to the needs of your customers is more than enough to keep your business alive in your chosen industry. Learn how to increase the numbers of your Qualified Australian Leads! Read our marketing blog and get FREE guides!